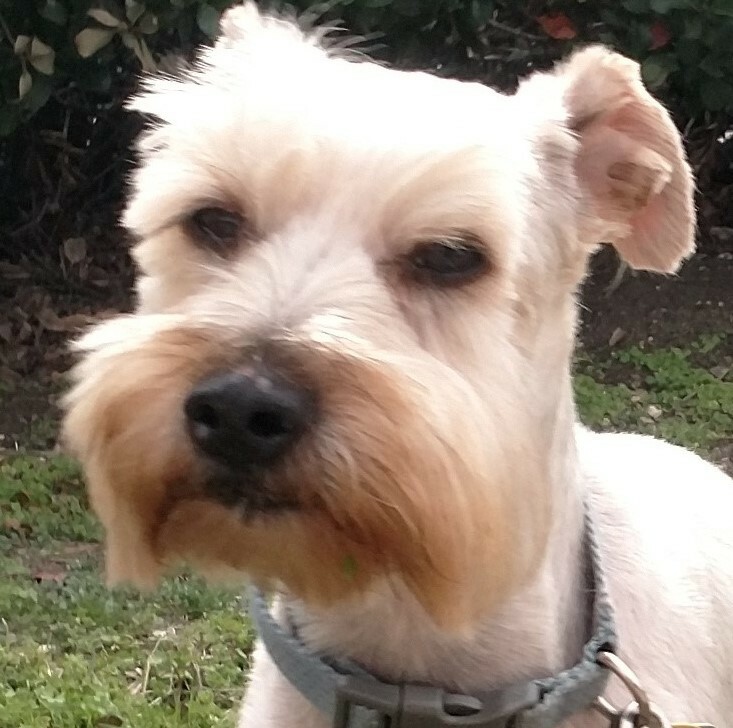 DOG BIOGRAPHY: Meet Murphy, a laid-back lovable little guy. 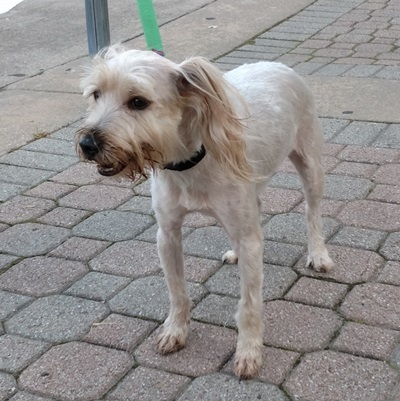 This senior white schnauzer would be the perfect pet for a young-at-heart retired couple, or a family who already has another pet. 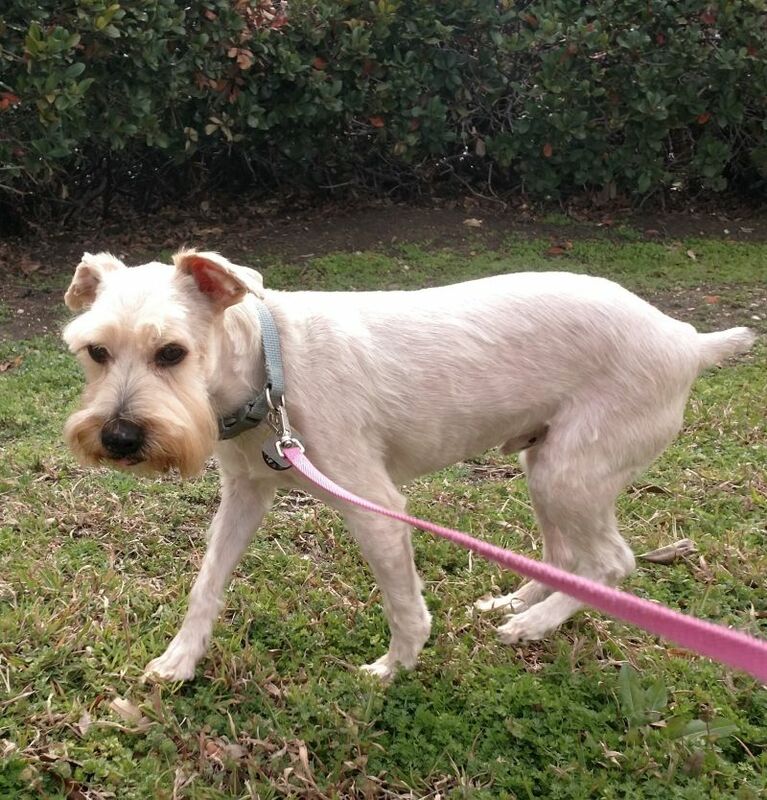 Murphy is such a social butterfly around people and other animals; he loves to make new friends! 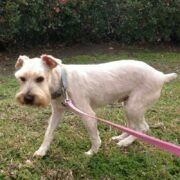 His foster says that he has good energy and enjoys his walks. He would be a great pet to travel with or even to accompany his owners on errands to pet-friendly places; he’s quiet, obedient and charming! 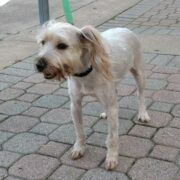 If you decide to adopt Murphy, get ready for lots of sweet kisses and loving embraces with this precious little mini.